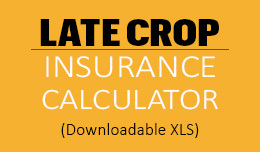 Stay up-to-date about corn production and field issues. Learn about corn types and genes at MU's gene zoo and garden. 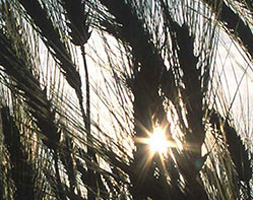 Check out the variety and versatility of this top 5 cereal crop. Corn is an amazingly productive crop; each planted seed produces more than 800 kernels. Few crops are as prolific as corn. 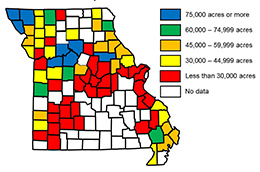 At least 90 Missouri counties produce corn, with a total area of over 3 million acres dedicated to corn production. 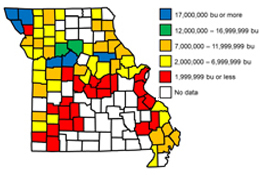 The annual on-farm value of Missouri’s corn crop is greater than $2.2 billion. Corn is versatile as well as prolific. A kernel of dent corn, the most common corn type grown in the United States, is approximately 68 percent starch, 8 percent protein, 3 percent oil, 6 percent fiber and 15 percent water. 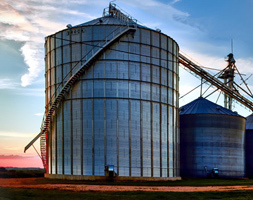 Starch is an important source of energy in feed rations for hogs, chickens and cattle. 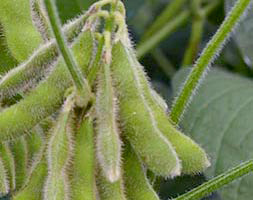 It also is the most common bioenergy feedstock for ethanol. Cornstarch has numerous other industrial and food applications, including uses in adhesives, plastics, grits and sweeteners. 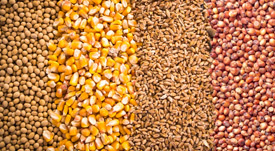 Corn protein is an important constituent of ethanol production byproducts that are used in feed rations for cattle. 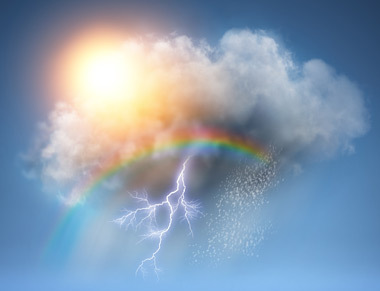 Corn oil is an ingredient of hundreds of products, such as margarine and cooking and salad oils. Grain sorghum is used like corn, but has adapted better than corn to drought. 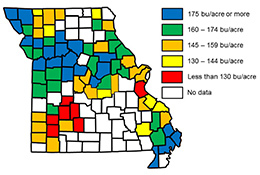 Recently, Missouri grain sorghum acreage has decreased to less than 100,000 acres. Please visit the program sites shown below for information related to another crop.